There is something in the name Hollywood that quickly comes to mind when mentioned. Obviously, apart from being a district in Los Angeles, California, USA it is a place known for its robust movie industry and movie stars. Jamaica, a country known for reggae music, produces sundry prominent reggae artists who have taken reggae music to the international arena. Similarly in Zimbabwe we have our own, Chitungwiza, like the Hollywood and Jamaica the town came famous and synonymous with chiefly sungura music, among other genres and music stars. Colloquially known as Chit-Town, the town is located approximately 26km South of Zimbabwe’s capital Harare.  Just a brief background; as part of my Corporate Social Responsibility, I seek to contribute to Zimbabwe’s music industry, through enhancement of local music consumption locally and beyond. Also to immediately put a disclaimer that I am not an authority to the subject matter, but seek to provoke debate on the same. I am prompted to ask, is it a mere coincidence that a number of musicians hail from Chitungwiza or there is something about the city. Rather, if it is a notion to go by at all. Contemporary Reggae artist Jah Prayzah acknowledges that the notion is worth a thought, but has over time been demystified as many artists now hail from all parts of the country. Cindy Munyavi, another rising star, submits that many artists actually hail from Harare, and no particular place commands a greater churn of artists. The densely populated town has produced dozens of sungura musicians who have scaled the local music industry to dizzy heights putting the town on the map of Zimbabwe’s entertainment industry. Formed in 1978 from three townships namely Seke, Zengeza and St Marys, Chitungwiza gained full municipal status in 1981. According to the population census of 2002, Chitungwiza had a population of 321,782. The town has become home to a host of local musicians in recent years. Chitungwiza is to sungura music industry what Hollywood is to the movie industry, and what Jamaica is to reggae music, they produce the best. No doubt! Big stars have emerged from this magical town, with the likes of the late John Chibadura, earning the nome de plume Mr Chitungwiza after the town. Other notables, the likes of Nicholas Zakaria, Mechanic Manyeruke, System Tazvida (late) Alick Macheso, Cephas Mashakada (late), Chinx Chingaira, Paul Mpofu (late), David Chiyangwa [Mr Bulk] (late), Cephas Karushanga (late), Hosea Chipanga are some of the great musicians who have a strong attachment to Chitungwiza. Historically, the early musicians such as Edward Khanda, Safirio Madzikatire, and Isaac Musekiwa hailed from Mbare, Harare’s oldest residential suburb. It was places such as Mai Musodzi Hall which were the most popular venues for musical concerts because Mbare had a greater native population. With the attainment of Zimbabwe’s independence in 1980 and rural to urban migration, places like Chitungwiza grew in population. Harare music analyst Masimba Kuchera argued that the reason why most sungura musicians are residing in a place like Chitungwiza would be trying to connect with their fans. ‘If you listen to the lyrics of most sungura musicians, it is mainly about the ordinary people, poverty and social injustices, a place like Chitungwiza is where most of these things happen,’ noted Kuchera. The Aquatic Complex, located in Chitungwiza, has become a host of many live musical shows in the past decade, coupled with emerging venues such as Makoni, Ziko and Chikwana Shopping centres have provided musicians with many local venues for live shows. This posits as an advantage to Chitungwiza as there is no or little transport costs to go for a musical concert both for the musician and the fan unlike other popular venues in town where fans have to carry an extra burden on transport costs. ‘These are some of the issues that musicians, even fans consider and I think hence the reason why Chitungwiza has become a permanent home to our musicians,’ added Kuchera. A local music fan, Munyaradzi Muguti who stays in Zengeza 4 mentioned that he does not have to go to town for a musical show because every weekend there will be more than two venues where musicians will be playing. 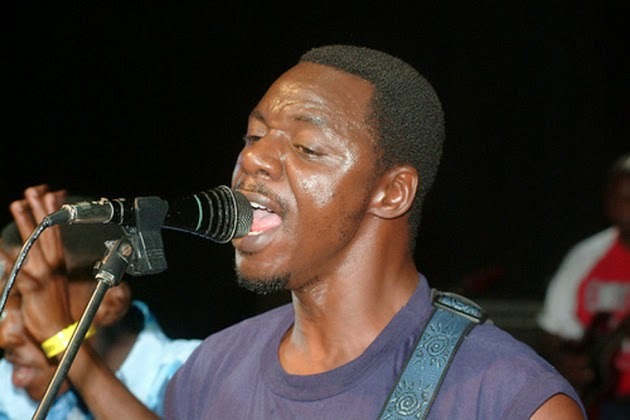 The King of Sungura, Alick Macheso is one prominent musician who cut his teeth musically in Chitungwiza when he joined Khiama Boys in the early 80s. When he left Khiama in 1998 to form his own Orchestra Mberikwazvo, taking the crown in the tightly contested sungura battle, Macheso became one of the most successful musicians, financially and otherwise but continue residing in Chitungwiza despite his fame, defying the known to many trends. During those years Macheso argued that he enjoyed living in the high density suburbs because he is a man of the people and wanted to identify with his legion of fans. Over the years Chitungwiza has been churning out a number of talented musicians to date. Although other places such as Highfields, Mbare, Budiriro and Makokoba in Bulawayo have also contributed in shaping Zimbabwe’s local arts industry, it is Chitungwiza that has been the core breeding ground for sungura musicians, among other genres. Benjamin Nyandoro contributes toward social responsibility taking local music to greater heights.